It’s spring and the ice on the Great Lakes is melting and the shipping season is getting underway. It’s fascinating to watch those steal goliaths peacefully floating by. There are a few campgrounds in the Mitten State that are ideal for watching these titans of the waters. Algonac State Park is on the St. Clair River with many ships traveling it daily. The first row of campsites face the river and you can sit on your campsite and watch the ship traffic. Aune Osborn Campground is owned by the city of Sault St. Marie and has campsites that face the St. Mary’s River. It’s an excellent place to watch the freighters traveling through the Soo Locks. The locks are just down the street from the campground so you can head on over there quickly if you want to see the ships raised and lowered in the locks. Brimley State Park is on Lake Superior and a few miles west of the Locks. The Park is also close to Tahquamenon Falls and Whitefish Point. Muskegon State Park has some ship traffic that heads into Muskegon Lake. The Channel Campground is on the channel that goes from Lake Michigan to Muskegon Lake and you can watch the Lake Express car ferry heading to and from Wisconson. You can also tour the USS Silversides submarine, USS LST 393 landing ship, and the SS Milwaukee Clipper. Straits State Park. Although there are not any campsites right on the water you have access to it from the campground and watch the freighters as they pass under the Mackinaw Bridge. If there are more campgrounds that you think I should add to the list, please leave a comment below. 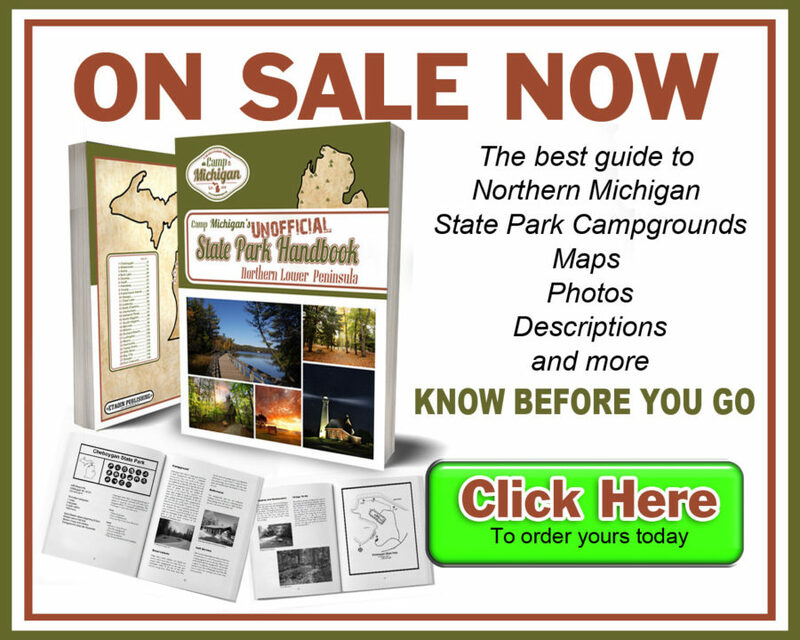 I have only camped at State Parks but with the popularity of the state parks and RVing it is getting difficult to find campsites in some of them so I am looking at some county and local parks. here is a list of some that I think would be a good place to stay. I hope to stay at some of these campgrounds this summer if not at least drive through and take a look at them. If there are any county or local parks you would like me to add to the list please comment below.